Starkwood Chiropractic accepts Blue Cross Blue Shield insurance. As a Blue Cross Blue Shield network chiropractic clinic, we take special care to ensure our patients care and satisfaction is our topmost priority. Blue Cross and Blue Shield is an association of 38 independent and locally owned companies. It is the largest and oldest group of health insurance companies in the U.S., and provides health insurance for about 100 million Americans in all 50 states. Across the country, 96 percent of hospitals and 91 percent of professional healthcare providers work directly with Blue Cross Blue Shield companies. At Starkwood Chiropractic, we are proud to work with Blue Cross Blue Shield to provide our patients with access to quality Portland chiropractic care. 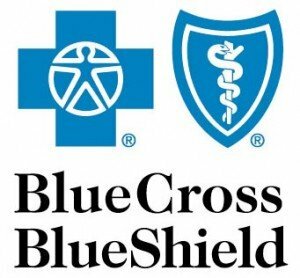 The 37 companies that make up the Blue Cross and Blue Shield Association are locally operated and work to provide access to high quality and affordable healthcare. Blue Cross Blue Shield provides people, business groups and small businesses with a variety of insurance products. For example, more than half of all U.S. federal workers and their families are covered by Blue Cross Blue Shield. They provide millions of dollars in funding for local communities and programs, and they work to provide information and advice for people searching for healthcare. Regence is the company that handles operations for Blue Cross Blue Shield in the Pacific Northwest. They have created a vast network of healthcare professionals and hospitals, and they have made it so people living in Oregon can have easy access to these providers. As a Regence Blue Cross Blue Shield member, you can receive discounts for alternative medicine options, including chiropractic care, massage therapy and acupuncture, to name a few. They only deal with licensed chiropractors that have a track record for providing thorough, effective and safe care, and we are excited to be included in that category. Contact us for more information. Our clinic is located near I-205 and easily accessible from Gresham, Oregon.